We’ve taken a little break this summer from our posts and hope all you educators have also enjoyed your time off. As school is starting across the country, we welcome you all to subscribe to our blogs to receive updates on product developments and interesting thought leadership on state assessments, differentiated instruction, standards-based instruction, and adaptive, differentiated practice. To learn more about the suite of Measuring Up solutions, visit us at masteryeducation.com today! The annual International Society for Technology in Education (ISTE) conference is the marquee ed tech event of the year, attracting educators from all over the country and featuring the newest and most innovative educational technology available. As schools being for many of you across the country, we thought we’d share a little from the conference in hopes to inspire you as you begin your school year. This year’s conference did not disappoint with powerful keynote addresses from influential and inspirational leaders in journalism, education, and technology. Held in San Antonio from June 24-27, ISTE 2017 was a huge success that showcased the most cutting-edge educational technologies, including Measuring Up Live 2.0 from Mastery Education. 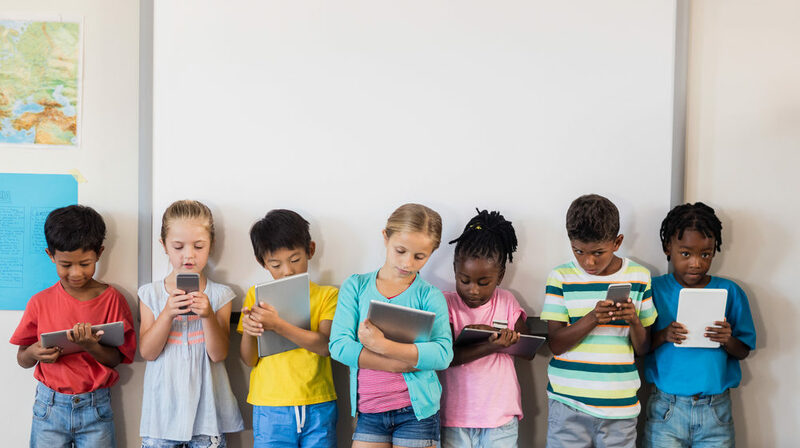 Adopting new technology can help make dramatic improvements in educational excellence, but there are things to consider when doing so. Is there a trial period to get a feel for the technology before a larger investment must be made? Is customer service and technology support available and equipped to respond to issues promptly? How is data security handled, including initial input, storage, and data transfer? Is the product embedded with advertisements, and to what extent? Here are some tips for adopting new educational technology and evaluation of the program success. These questions and tips are key to helping educators and technology innovators embark on fruitful partnerships that will benefit student performance over the course of the school year. At Mastery Education, we understand the value drivers and pain points associated with adopting new educational technology. As such, we are focused on developing research-based products that promote problem-based learning to deliver measurable educational advancement. Learn more about implementing new technology and how the suite of digital solutions from Measuring Up can help by visiting us online at MasteryEducation.com today! A key challenge for educators is finding a way to customize and differentiate learning for each student in their classrooms. Teachers need tailored tools that allow them to target instruction and differentiate learning for all students in the classroom, including struggling learners, English language learners, and advanced students. And to ensure that students are making progress, educators also need to track and monitor incremental progress and mastery of the standards. To meet the needs of these educators, Measuring Up has created a new instructional worktexts built specifically to meet your state standards. These new state-customized Measuring Up worktexts focus on helping students master the state standards and prepare for rigorous end-of-year assessments. Connecting seamlessly with the Measuring Up Live 2.0 digital assessment and adaptive practice solution, these worktexts help educators target instruction to those skills students most need support on. It is a simple but powerfully effective approach, incorporating a comprehensive alignment of assessment, instruction, and practice for each student. This new program is customized for each state, addressing challenges educators are facing today with lessons that inspire confidence, engage students, and improve assessment results and growth. Providing real world connections to help students make deeper meaning. Supporting all learners in a classroom, including English language learners. Demonstrating multiple ways to solve mathematics problems. Offering educators Exit Tickets for quick comprehension checks. and an Exit Ticket to check for student understanding. Writing is embedded into every ELA lesson and mathematics lessons offer multiple ways to solve problems as well as more discussion opportunities. Throughout the lesson, students will see work-space areas, checklists, and prompts like Turn and Talk to keep students engaged. These prompts encourage learners to apply what they’ve learned and elicit self-evaluation. The Teacher Edition features teaching suggestions for struggling learners, English language learners, and above-level students. It also provides additional standards information, and offers support on how to use data to evaluate student learning and more effectively target instruction. Mastery Education constantly strives to deliver opportunities that provide richer and deeper learning experiences to unlock a brilliant future. With materials built for each state, the Measuring Up blended solution allows teachers to pinpoint each student’s standards level, target instruction to their skill level, and improve high-stakes state assessment results. Personalized and differentiated learning coupled with robust data and reporting give educators the tools to drive students’ improvement and success. It is important to choose a partner that evolves with the ever-changing education landscape. To learn more or view sample lessons, visit MasteryEducation.com today! Want to learn more about what Measuring Up can offer? No teacher wants to lecture to a student who is bored or disengaged, and no student wants to sit in a classroom feeling the material is meaningless. When it comes to learning, engagement is essential. Savvy educators seek to connect with students and engage their growing minds in new and innovative ways. But these engagement methods must be grounded in research, rather than guesswork. With so many resources available today, how can educators find those that engage students? According to Robert Marzano in The New Art and Science of Teaching (2017), monitoring student engagement is critical so that teachers know when to employ effective engagement strategies and sense when students may need differentiated instruction to optimize learning. Students can provide teachers with self-reported engagement data through informal verbal or written prompts during a lesson. Marzano suggests that teachers should react when they see students are disengaged. Increasing engagement might involve creating a “lively pace” through the use of instructional segments, allowing students to work at their own individual pace, or grouping students according to where they are in their comprehension of new material. Educators may also want to add physical movement, such as standing to vote for an answer, or present new and unusual information through real-world connections. 1. Make It Meaningful: If students do not consider a learning activity worthy of their time and effort, they might not engage in an effective way, or may even disengage entirely in response. 2. Foster a Sense of Competence: Competence results from a student’s ongoing personal evaluation of whether he or she can succeed in a learning activity or challenge. 3. Provide Autonomy Support: Teachers should create a sense of autonomy by nurturing the students’ sense of control over their behaviors and goals. 4. Embrace Collaborative Learning: When students work effectively with others, their engagement may be amplified as a result. 5. Establish Positive Teacher-Student Relationships: High-quality teacher-student relationships are another critical factor in creating student engagement, especially in the case of difficult students and those from lower socioeconomic backgrounds. 6. Promote Mastery Orientations: Engagement is more likely to be full and thorough when students pursue an activity because they want to learn and understand through mastery, rather than get a good grade, look smart, please their parents, or outperform peers. Research by Marzano has shown that providing choices to students of all age levels often increases their intrinsic motivation and have been linked to increases in effort, task performance, and subsequent learning. However, for students to feel that their decision has an impact on their learning, teachers should provide students with choices of tasks, reporting formats, learning goals, and behaviors. 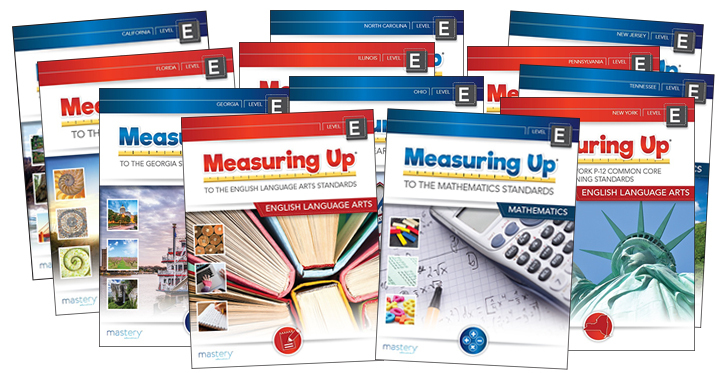 The new Measuring Up instructional worktexts offer engagement features designed to get students thinking about their progress so they become invested in their own success. These materials engage students through collaboration, turn and talk, and prompts to check understanding. Students learn relevance through with real-world applications of vocabulary and math skills, authentic writing tasks, and real models of math concepts. Each lesson is grounded in the significance of concepts being learned. And the digital Measuring Up Live platform offers games, dashboards to monitor progress, and data and reporting, all designed to allow students to be drivers of their own success and to help teachers monitor student engagement. It is important to choose a partner that evolves with the ever-changing education landscape. Mastery Education, the creator of Measuring Up, is constantly striving to provide richer and deeper learning experiences that prepare students for the challenges of mastering today’s standards and unlock the possibility of a brilliant future. To learn more, visit MasteryEducation.com today. Have You Seen Measuring Up Live Lately? Taking high-stakes assessments can be a stressful experience for students. But the right practice tools can help alleviate the pressure and even make the preparation process fun. The powerful Measuring Up Live 2.0 platform provides data-driven assessment coupled with adaptive, differentiated practice to target each student’s needs. And students will see question types and test formats that emulate what they will see on high-stakes assessments. This familiarity helps build confidence and improves performance. In a recent study, scientists from Tufts University found that taking practice tests can actually protect memory against the negative effects of stress. Amy Smith, one of the authors of the study noted, “Learning by taking tests and being forced to retrieve information…has a strong effect on long-term memory retention, and appears to continue to have great benefits in high-stakes, stressful situations.” And an article in Thesis Magazine states that researchers have found that retesting will improve an individual’s score by 2/3rds of a standard deviation, on average. 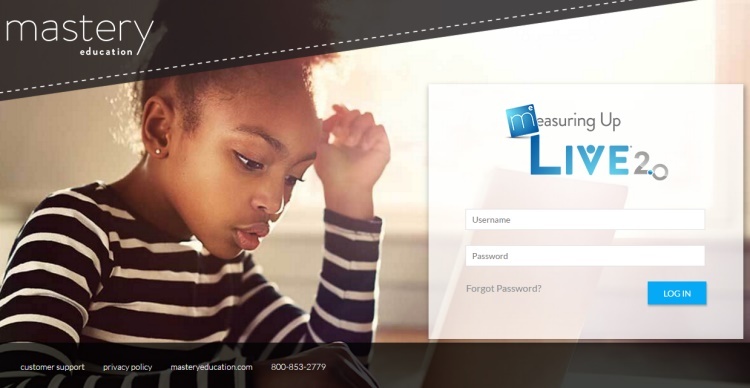 Measuring Up Live 2.0 is an innovative online assessment and practice platform made up of two powerful programs that work in tandem: Insight and MyQuest. Insight diagnoses student skill level and standards knowledge. Based on the Insight assessment results, MyQuest automatically prescribes targeted, differentiated, and adaptive practice with standards-based learning paths targeted to each student’s individual needs. This allows for true differentiation and targeted instruction. Teachers also have the option to manually assign practice to students. Insight offers grade level assessments delivered in specific testing formats, such as PARCC, SBAC, AIR, or STAAR. Teachers can use a library of pre-created assessments based on state standards and assessment blueprints or create their own from over 60,000 questions/item types. Multiple grade levels are available to meet the needs of struggling students or advanced learners. There are even features such as text-to-speech to support English language learners. MyQuest’s adaptive instructional technology adjusts according to students’ individual understanding and responses, allowing teachers to pinpoint instructional needs. As students move through the content they receive immediate feedback, and content level difficulty will auto-adjust based on results. Students can even practice in fun game modes. Measuring Up Live 2.0 offers true preparation for high-stakes state assessments. With robust reporting and real-time data at the heart of the program, educators can truly pinpoint instruction to student needs. And putting actionable data in the hands of district personnel, school administrators, teachers, and even students is powerful and leads to success. Summer is almost here. For many, it’s a time to relax and leave schoolwork worries behind. However, by the time school starts up again in the fall, many students will have forgotten a good percentage of what they learned the previous year. Looking just at mathematics, most students lose about two months of grade-level efficiency in mathematical equivalency skills over the summer months, according to an often-cited study by Cooper, Nye, Charleston, and Greathouse. Lower income students and English learners lose even more skills than their peers. Many schools encourage students to continue reading during the summer months to prevent learning loss. However, according to an article published by the Harvard Graduate School of Education, the loss of math skills over the summer is even greater than that in reading proficiency. Harvard faculty member Joanna Christodoulou explains why: most parents have been encouraged to utilize reading in everyday life with their children, but they tend not to integrate math in the same way. She argues, “…it is easy to overlook the presence of math in everyday activities, like measurement in cooking, calculation when dealing with money, or distance while driving.” With this research in mind, it’s easy to see why students start school each fall at a deficit. To complicate the issue further, summer learning loss also impacts test scores and preparedness, and this achievement gap widens when you compare results between middle class and disadvantaged students. By the ninth grade, two thirds of this gap can be explained by unequal access to summer learning opportunities in the elementary grades. Many of these students move on to higher grades at a deficit, where they tend to be placed into lower-level classes, thus becoming more likely to drop out, and are less likely to attend college or be career ready. The solution is summer learning. But what does that mean? Summer learning does not necessarily have to equal summer school in the traditional sense. For students who don’t have access to traditional summer learning programs, we can offer alternative, positive methods to promote learning, especially for struggling students. According to the Wallace Foundation, strategies for preventing summer learning loss include identifying effective summer learning programs and approaches, replicating these effective programs, or even establishing extended-year or year-round schools that incorporate practices and approaches from effective summer learning programs. They engage students in recreational and enrichment activities, as well as activities focused on building positive relationships with peers and adults. They blend remediation with enrichment activities and more advanced curricula. They are attended by students of varied skill levels. They are voluntary and take place over a full day. When programs are designed with these fundamentals in mind and communities support the whole child for the whole year, students thrive. High-quality summer learning programs improve academic skills as well as motivation and relationships. Effective summer learning can be cost-effective and extremely targeted by using tools such as the Measuring Up Live 2.0 program or the Measuring Up instructional worktexts. While Measuring Up Live pinpoints gaps in student knowledge and provides adaptive practice to target learning standards deficiencies, the print instructional worktexts provide educators with the skills and standards knowledge to narrow the learning gap. Measuring Up from Mastery Education provides supplemental instructional and practice materials that are standards-based to meet the state assessments. To learn more about how Measuring Up can work with your summer school curriculum, visit MasteryEducation.com. “The Effects of Summer Vacation on Achievement Test Scores: A Narrative and Meta-Analytic Review,” by Cooper, H., Nye, B., Charlton, K., Lindsay, J., and Greathouse, S. Review of Educational Research, 66: 227-268, 1996. “Summer Math Loss: Why Kids Lose Math Knowledge, and How Families Can Act to Counteract,” by Schafer, Leah. Harvard Graduate School of Education: http://www.gse.harvard.edu/news/uk/16/06/summer-math-loss, June 24, 2016. As summer is almost here, how are you ensuring your students don’t fall behind? Take a look at this handy infographic for some information on Summer Learning Loss and Assessment.